A selection of the greatest roses that is just made to impress! This bouquet is a sweet combination of regal large-headed roses and fresh spray roses. Guaranteed to make everyone fall in love with its colourful and joyous design! I can't wait to surprise my wife with this beautiful bouquet! She loves fresh flowers so I'm pretty sure it will be a very sweet surprise for her! I was quite surprised by the great service. Haven't received more beautiful flowers in my life. It was one of the best surprises ever! Receiving this fantastic bouquet made my day!!!! Ordered the flowers for my lovely girlfriend in London. Early in the morning she called to say that the flowers were extremely beautiful. Thank you for the prompt delivery. Magnificent combination of roses! It was made from fresh and beautiful flowers which looked gorgeous for more than a week. Big thank you to your great florists! Crazy in love with this bouquet! Easy to use website. The ordering took no time and saved me a lot of stress. Flowers arrived safe and looked amazing. 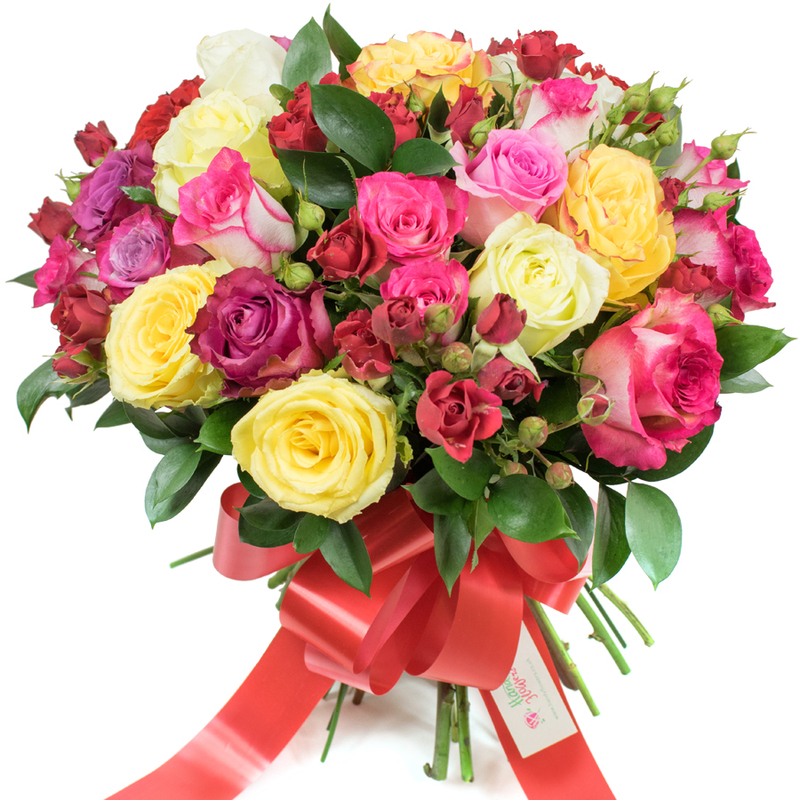 Colourful and vibrant - that's the best way to describe this lovely bouquet. It arrived fresh and I'm pretty sure it will stay that way for a long time. Thank you! I was checking out what kind of flowers you offer as Valentine's Day is coming and I must say I'm really impressed by all of your bouquets! This one is my favourite so far!